A team jointly led by the University of Exeter, King's College London and Oxford Health NHS Foundation Trust examined the cost effectiveness of a study of 549 care home residents with clinically significant agitation in dementia across 69 care homes. The research was funded by the National Institute for Health Research and published in Alzheimer's & Dementia: The Journal of the Alzheimer's Association. It compared residents receiving usual treatment to those receiving treatment under the Wellbeing and Health for people with Dementia (WHELD) training programme. The team analysed outcomes on health and social care costs, agitation and quality of life. In each area, WHELD performed better than current treatment, saving up to £4,000 per care home over the nine month study—or up to £2,000 once the cost of delivering WHELD was taken into account. The savings were made in a reduction in emergency and routine hospital admissions and in less contact with GPs, in part because of reduced agitation. 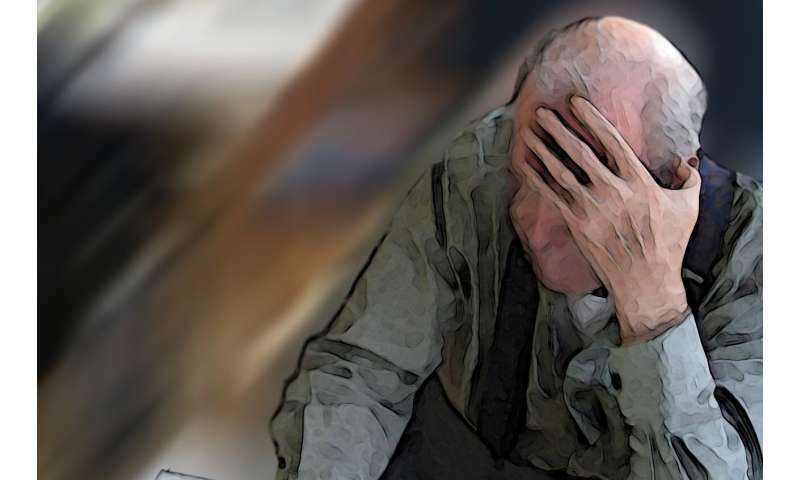 Senior author, Clive Ballard, Professor of Age-Related Diseases at the University of Exeter Medical School, said: "People with dementia living in care homes are among the most vulnerable in our society. We now know we have a programme that provides huge value in improving their quality of life and reducing agitation—and now crucially, we know this saves money. Our research has previously shown that only four of 170 carer training manuals available on the market were based on evidence that they work. We must roll this out to benefit those in need." Corresponding author, Renee Romeo, Senior Lecturer in Health Economics at King's College London, said: "As a person's dementia progresses they will need more intensive care and support and often residential care is seen as the best option by those who care for them. Our research can assist commissioning decisions around care and treatment options in these settings. By providing the evidence, that effective and affordable care responses following consultation around individual preferences do exist. The failure to recognise and introduce such interventions in not only ethically questionable but very costly." The WHELD programme involved training two carer "champions" from each home to deliver person-centred care, which involves individuals in the decisions that affect them. Previous research has found that the average care home resident engages in just two minutes of social interaction in a six hour period. WHELD increased this to ten minutes of activity, focussed around the interests of the resident. It also included GP training to reduce prescribing antipsychotics, known to significantly increase the risk of stroke and death in people with dementia. Alzheimer's Society policy director Sally Copley commented: "As 70 per cent of people in care homes have dementia, it is essential that staff working there have the right training to provide good quality dementia care. "This study supports what we know from our own research: that training is crucial to provide this kind of specialist care, and has huge benefits for people with dementia in care homes and for the wider system, and that anti-psychotics are often overused and sometimes harmful—an area we have campaigned on for many years. With many care homes on the brink of collapse and the NHS under pressure, cost-efficient initiatives like WHELD could make all the difference. "But specialist training costs money, so without Government investment in social care to allow innovative solutions like WHELD to be put in practice, it won't be possible to provide this for everyone who needs it. I urge Matt Hancock to take bold steps in the forthcoming Green Paper and commit to the sustainable social care funding that people with dementia have already waited too long for." The paper, entitled 'Improving the quality of life of care home residents with dementia: Cost effectiveness of an optimised intervention for residents with clinically significant agitation in dementia' is published in Alzheimer's & Dementia: The Journal of the Alzheimer's Association.